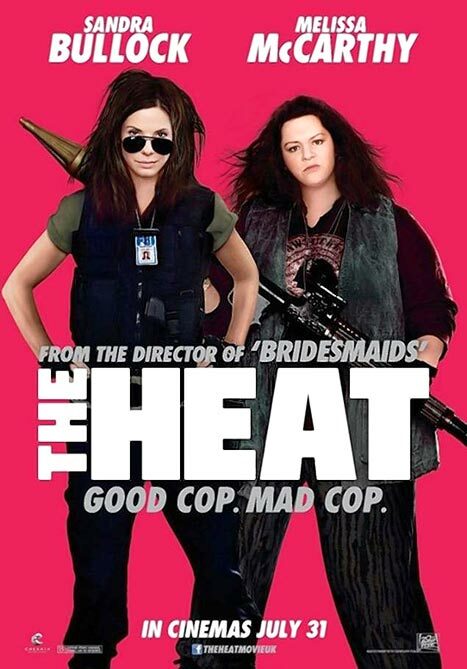 “The Heat” is on, and it took all my courage to see it. I had to put aside my prejudice and give these ladies a chance. If this were a Chris Farley and David Spade (Tommy Boy) movie, we would all be psyched for it. When John Candy (Uncle Buck) threw his weight around, we all laughed and learned something. This kind of comedy team has been around since Laurel and Hardy. Why not McCarthy and Bullock? The FBI sends its most unappreciated agent Ashburn (Sandra Bullock from The Blind Side) to Boston to bring down a drug kingpin. She is a great agent, but nobody wants to work with her. She winds up on the turf of Boston Detective Mullins (Melissa McCarthy from Bridesmaids), another effective law enforcement officer whom nobody wants to work with. The standard ‘80s buddy cop movie takes over from there, and yeah, I am getting too old for this. Please note I did all that without a fat joke. In an amazing plot twist, they get thrown off the case, just as they are making headway. To my feigned shock and surprise, these two decide to go it on their own. If you can read between the plot point sarcasm, you will see the problem with this movie. It is not the leads. Bullock plays an excellent straight woman, doing the same character she did in the “Miss Congeniality” movies. And McCarthy certainly pulls her weight – you have to give me that one. Sure, there are plenty of fat jokes in the movie, and all the good ones are in the trailer, but McCarthy is much more than that (you can’t count that one). She is a presence and a force, and she carries this well-worn plot. Much like Candy, and I will even go back to Jackie Gleason, she does not play on her weight. She does not see it as a liability, though she has a way of letting you see it as the root of her character. She uses that apparent flaw as an asset and goes at life that much harder. Of course she is overcompensating, and she knows it, and she is hilarious doing it. These ladies are a great team, but the supporting cast did nothing to help the movie along. We are not going to be scared of Michael McDonald (from Austin Powers) as Julian, or any of the other TV rejects cast in this movie. We all know you need a big villain, and in this movie the villain is screenwriter Katie Dippold (Parks and Recreation). She can write a funny gag, but she can’t take the gimmick of this movie anywhere new. I’m giving this movie 2 stars out of 5, and they are both for McCarthy. This is a good vehicle for her, and I see big things coming her way.